If you’re a cryptocurrency fan, you probably already encountered many Bitcoin faucets. Bitcoin faucets are websites that supply you with free BTC, usually in exchange for solving a captcha or visiting another site every few hours. In the past, we’ve also reviewed a list of 70 faucets that still supply small amounts of free Bitcoins. As Bitcoin becomes more and more popular, the number of faucets keeps growing. In fact, many of the Bitcoin websites with the highest levels of traffic today are actually faucets (e.g. Bitcoin Aliens, Bitcoin Zebra, Moon Bitcoin). 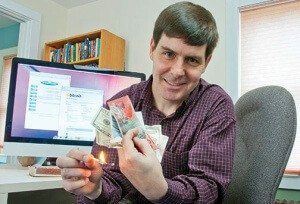 Why should you build a Bitcoin faucet (i.e. how will this make you rich)? There can be several reason why you’d want to operate a Bitcoin faucet. First, you might be doing it just for fun. Second, you might want to educate people about Bitcoin and help spread the word. 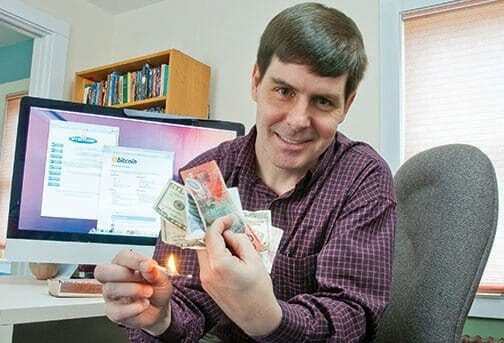 For example, the original Bitcoin faucet was operated by Gavin Andresen, Bitcoin Foundation’s chief scientist. It started out around late 2010 and it gave visitors five Bitcoins for free. Of course, back then each Bitcoin was worth something like $0.08. The whole idea was to spread the word about the world’s first cryptocurrency. However, the most common reason why people build their own Bitcoin faucet is probably to try and get rich. The main monetization method for these websites is by selling ad space or putting up Google Adsense ads (meaning ads provided by Google which they get part of the revenues from). But don’t go running off to build your faucet just yet. Let’s do the math first! If you take a look at Bitcoin Aliens, for example, you’ll see they are selling ad space for 10 cents/CPM. CPM stands for Cost Per Mil and it means that for every 1,000 times the ad gets shown, the advertiser pays Bitcoin Aliens $0,10. This means that in order for the site to get $1,000/month, the ad needs to be shown 10,000,000 times! 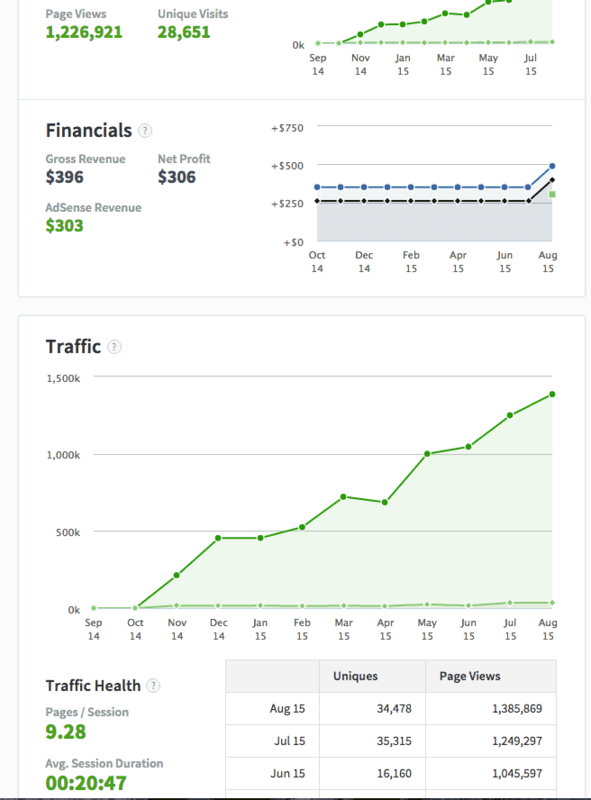 Now, you may imagine it’s not easy to get 10 million views to an ad on your website. That’s why most Bitcoin faucets aren’t actually profitable (although I do believe Bitcoin Aliens is). Another method faucet owners use to increase their revenues is by getting you to come back to the site so you can view and click on more ads. Also, sometimes you’ll be required to stay on the site for a certain amount of time. That’s why usually faucet sites will have a large amount of returning visitors and a long “time on site” parameter from their users. As you can see on the red box on the right, the platform indeed gets a lot of visitors which stay for a long time on the site (5:46 minutes is considered a very long time). So now that you know all you need to know about Bitcoin faucets, let’s get down to building one. In this post, I will cover two ways to build your own faucet: custom coding and buying a website. Let’s begin with the more interesting one, which is custom coding. If this sounds scary, I assure you that this guide will make it very simple. I have almost no coding experience myself, yet I’ve managed to set up a faucet. The whole process should take 20 minutes and no more than $4. Go to FaucatInaBox.com and click on “Install Now” to download the faucet script. In order for your faucet to be available online, you will need to register a domain name and place the faucet files on a server. I recommend using Bluehost, as they have very cheap plans ($4/month) and they will also give you a free domain name when you register. This way you kill two birds with one stone. This step will be different for each hosting provider. 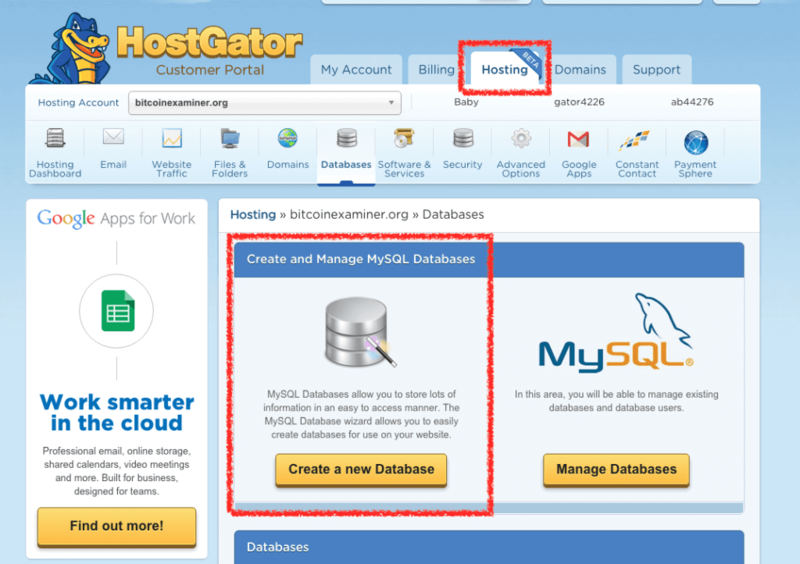 For the sake of this example, I will use Bluehost in this post, but this can easily be done with any other provider. Under “hosting” click on “databases”. 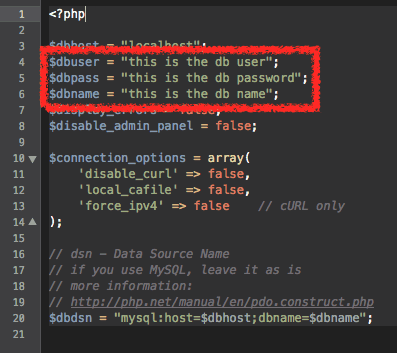 Follow the instructions for giving your DB (database) a name, a user and a password. Make sure to write all these three details down. Don’t forget to click “save” once you’re done. Once you’ve finished, upload the folder to your root directory (i.e. home directory) via ftp. If you are not sure how to do this then contact your hosting support: the process is fairly simple and should only take a few seconds. Go to your website’s address and you will see a page asking you to click for the faucet’s password. Click on the link and write down the password. Enter the password in the next page and you will now arrive at your new faucet’s control panel. Once you’ve finished, move on to the Captcha tab and make sure to obtain Captcha keys, as well. This will make sure that your rewards are only given to actual people and not bots. Using the other tabs on the control panel you can change your faucet’s design on the “templates” tab. In this tab you will also be able to add and edit HTML code for ads you want to display on the site. Before you can activate your faucet, you’ll need to fund it so you can send out the rewards to people. This is done through FaucetBox’s dashboard. Go to the “balance” tab and click on “Activate” on the Bitcoin currency row. You will then receive a Bitcoin address. 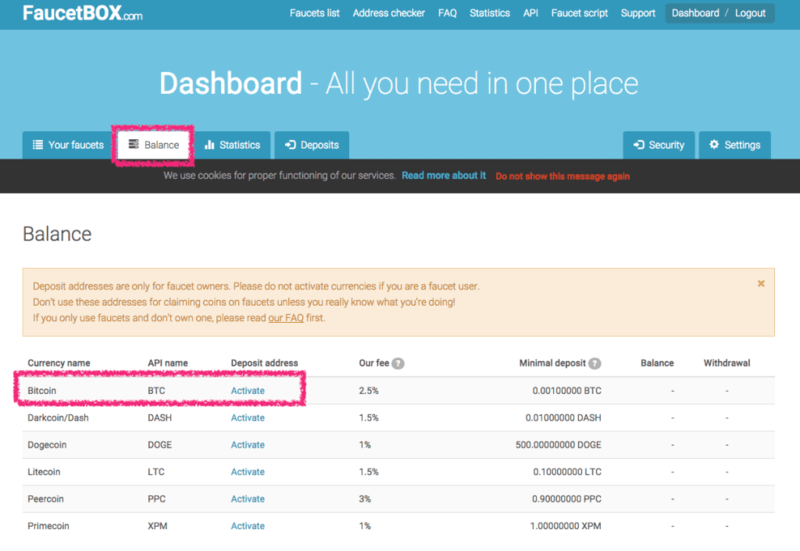 Send funds to that address and FaucetBox will now automatically pay your faucet users (minimum to fund it 0.001BTC). Keep in mind that FaucetBox charges a fee for this service (currently 2.5%). That’s it! Your faucet is now fully operational. If you don’t feel like going through all of the hassle of custom coding your own Bitcoin faucet, you can always buy a faucet nobody wants anymore. Why would someone sell a working faucet? Simple, it’s really hard to generate profit through Bitcoin faucets (like I explained before). If you’d like to pursue this I suggest visiting Flippa, a website dedicated to the purchase and sale of other websites. 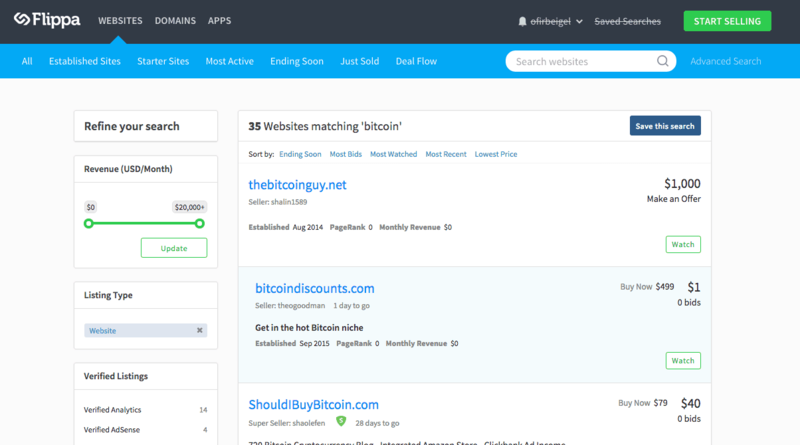 Just type in “Bitcoin” under the “websites” category and you’ll see dozens of sites that are up for sale. Of course, not all of them are faucets, but you can find one or two faucets among the listings. I suggest examining each listing carefully before placing your bid. Mainly seeing that everything “adds up” and that you understand exactly what you’re buying. For example, many websites on Flippa are only one or two months old, which means you’ll need to take their analytics with a grain of salt. Here’s an example of a website that isn’t a faucet, but a Bitcoin game that is up for sale. If you examine the listing closely you’ll see that the analytics are indeed pretty impressive. I have done some business on Flippa myself in the past and it’s a great resource, but you need to be really careful with what you buy and how much you pay. So if you don’t wish to go with the cheap custom coding option, you can just buy a pre-made website. Keep in mind that this option is usually much more expensive. 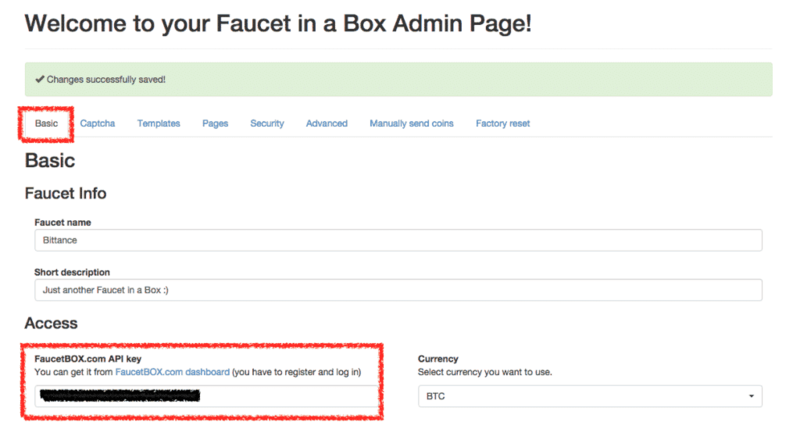 Last but not least, if you’re truly serious about running your own Bitcoin faucet I suggest you also read this great post about faucets. Also, I want to thank the original post on BitcoinTalk for helping me with the creation of this post and this excellent YouTube video. As always, if you have any questions, comments or experience with different faucets you’d like to share, leave them in the comment section below. do you have tutorial for off line mode? i mean create faucet in off line mode, when it’s ready then make on line. i wanna try in xampp, can u help?